In our latest worksheet, we describe how you can send an email from Snap WebHost, our online and mobile survey management system, which includes personalized information for your respondents (e.g. their name, title). It easily connects the survey to a database which contains respondent’s email addresses together with information about each respondent. 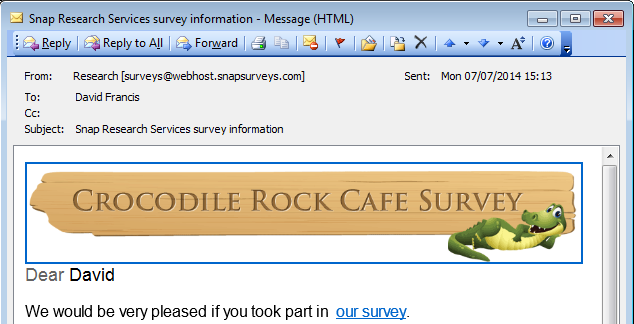 Get more out of Snap WebHost, Snap Surveys’ online survey management and analysis system.